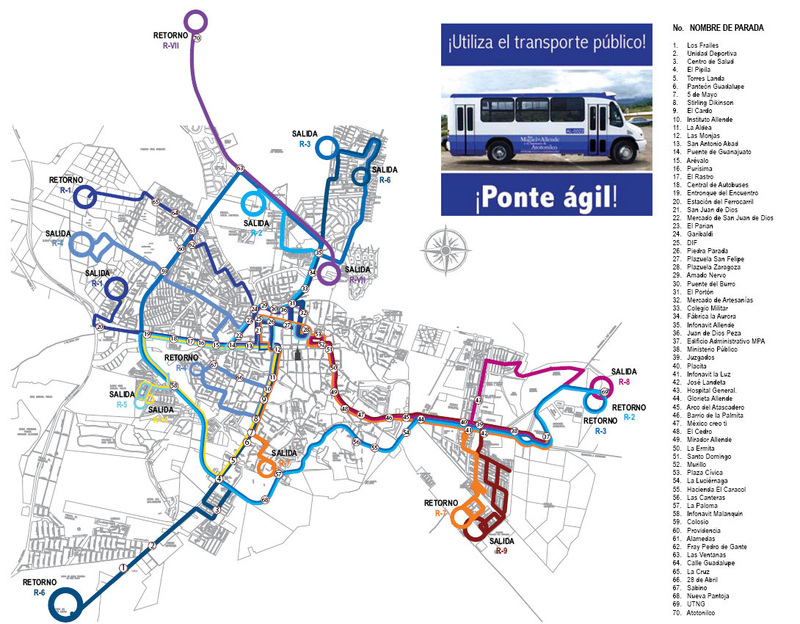 I have been looking for a bus map for two years, after discovering that buses in San Miguel are fun, frequent, and cheap. With a fare of just five pesos for anywhere you want to go in the City, they can’t be beat (other than walking). Check the SMA bus map site for full details. 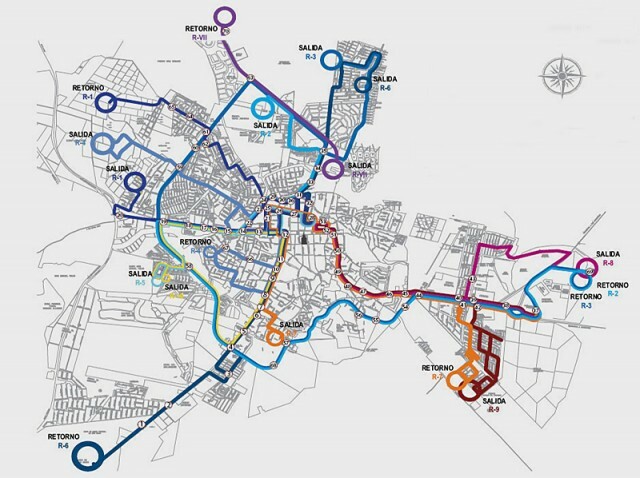 Detailed individual route maps are shown in addition to this combined map. This entry was posted in San Miguel de Allende. Bookmark the permalink.